Often causes damage in home gardens. 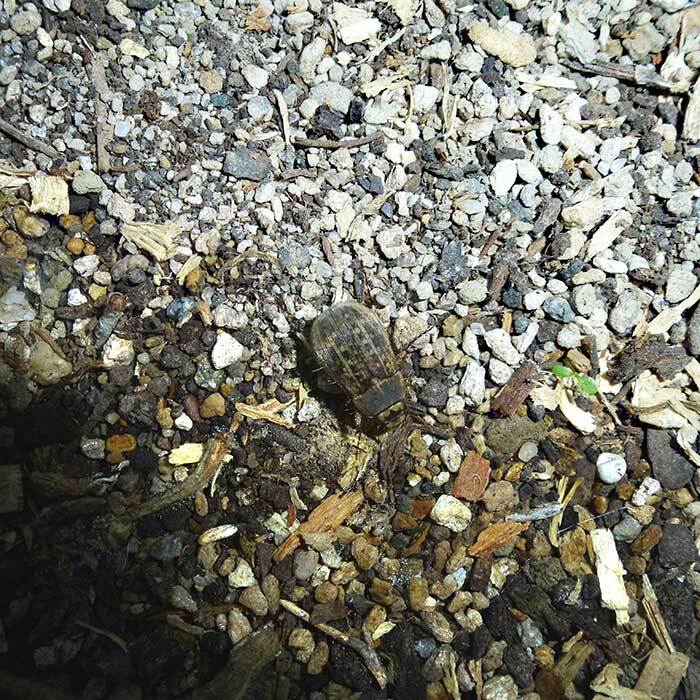 Moist soils and lush vegetation are preferred by striped chafer and they cannot tolerate extremes of temperature or low soil moisture. The larvae frequently cause damage to nursery and garden plants. Vegetable seedlings, root crops e.g. carrots and strawberries are frequently attacked. When feeding on trees damage to young leaves is most likely to affect tree growth. 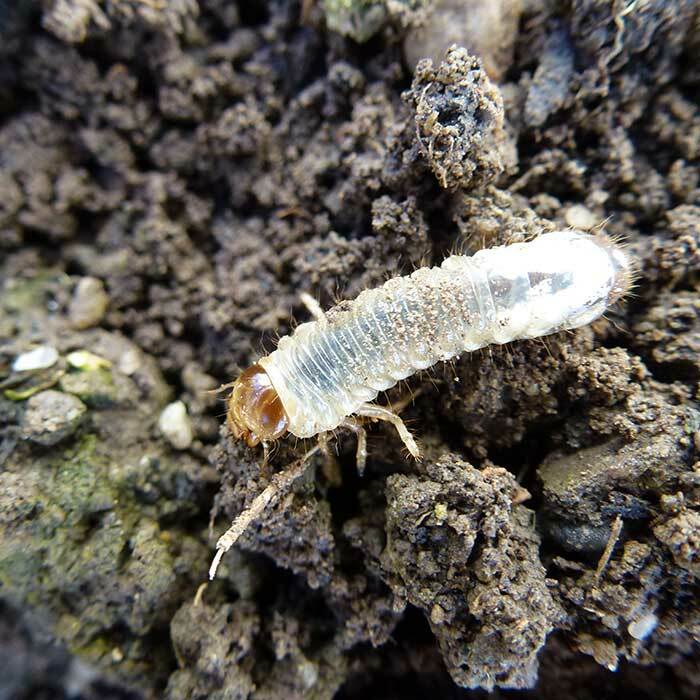 There are no insecticides registered specifically for use against striped chafer but those used against the common grass grub are likely to also work against striped chafer larvae. 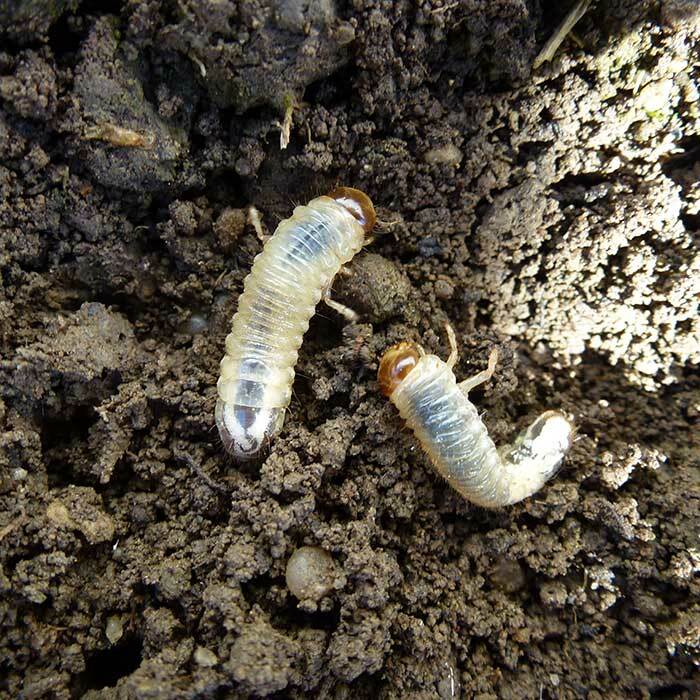 However, Bioshield Grass GrubTM , a formulation of the bacterium Serratia entomophilla, is specific to common grass grub and will not control striped chafer. Barratt BIP, Campbell RA. 1982. Biology of the striped chafer, Odontria striata (Coleoptera: Scarabaeidae) l. The adult, flight and ground surface activity, female reproductive maturation, and food plant selection. New Zealand Journal of Zoology, 1982, Vol. 9: 249-266. Barratt BIP, 1982. Biology of the striped chafer, Odontria striata (Coleoptera: Scarabaeidae) ll.Larval development. New Zealand Journal of Zoology, 1982, Vol. 9: 267-278.